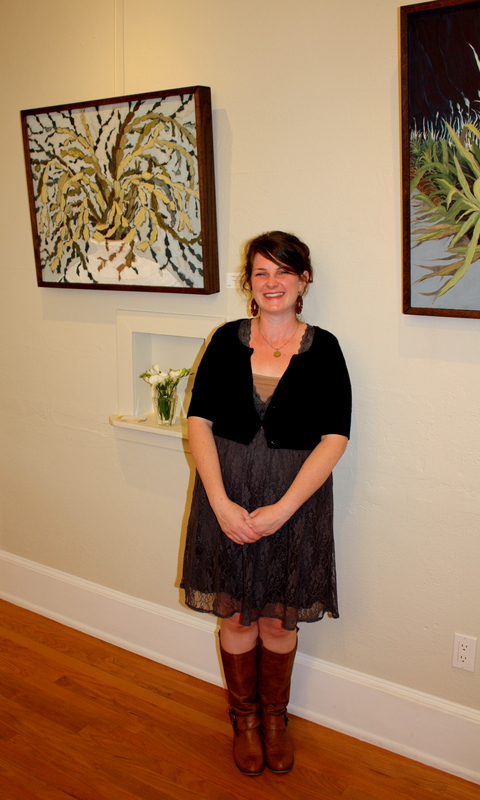 Friday night was my opening reception at the Overton Park Gallery! Many thanks to the friends and neighbors who were able to come out. The show will be up through June 30th, so stop by any time that Diane’s is open if you missed it. I’ve posted the six new paintings hanging in the show on my site, so take a look! They are all oil, and most are studies of things growing around my house.